American Roadside is holding its grand opening this Saturday, October 22. It's an all-day event to celebrate the burger joint's expansion into the Southeast--up until this point it's only location has been in Smithtown, New York. 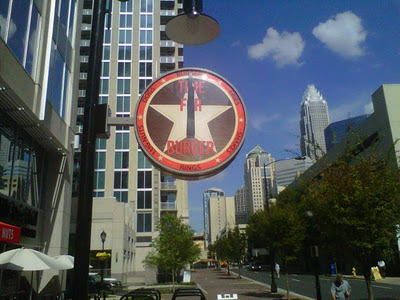 Now there's an American Roadside in Uptown Charlotte, and another one is scheduled to open in SouthPark in the spring. Curiously, there are a few businesses--restaurants, boutiques, and others--that for years had only one location, but recently have made Charlotte the first market they've expanded into (I'll blog about a couple of those others soon). I guess they're recognizing Charlotte is a hot city. 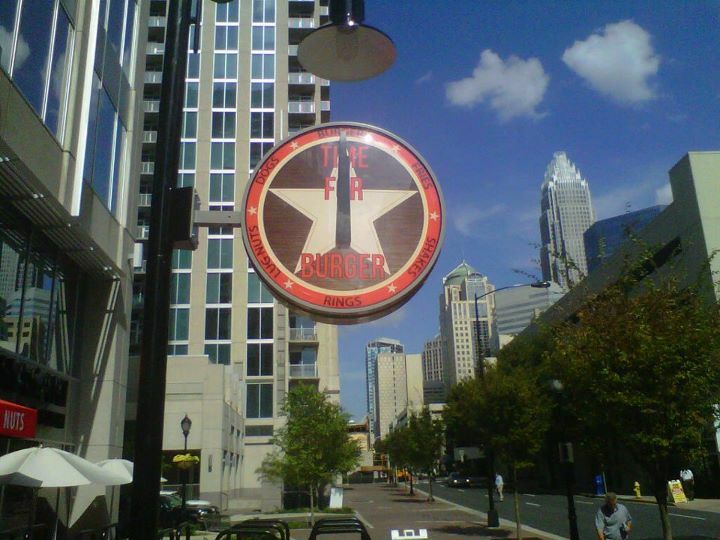 Located in the Ally Bank building in Uptown, American Roadside opened at the beginning of this week. I'm sure many of the people who work in the shiny South Tryon buildings around it (Ally, Duke Energy Center, the multiple arts venues and museums that make up the Levine Center for the Arts, etc.) have been checking it out all week. This Saturday is a great time for all of you to give it a visit. The grand opening event goes from 11 a.m. to 11 p.m. and there will be food and drink specials all day, such as $1 American Roadside drafts, $1.50 bottled domestics, a free side item with the purchase of a burger and drink, and free ice cream for the kids. There will also be live music on the patio and a display of classic cars and motorcycles. American Roadside, 440 S. Church St., 704-335-3352, www.americanroadside.com, www.facebook.com/AmericanRoadsideBurgers.